How's your super-creepy Friday 13 going? We are gearing up for a blizzard, so I will head home soon, but wanted to share the Supernatural Lacquer April 2018 new releases with you! 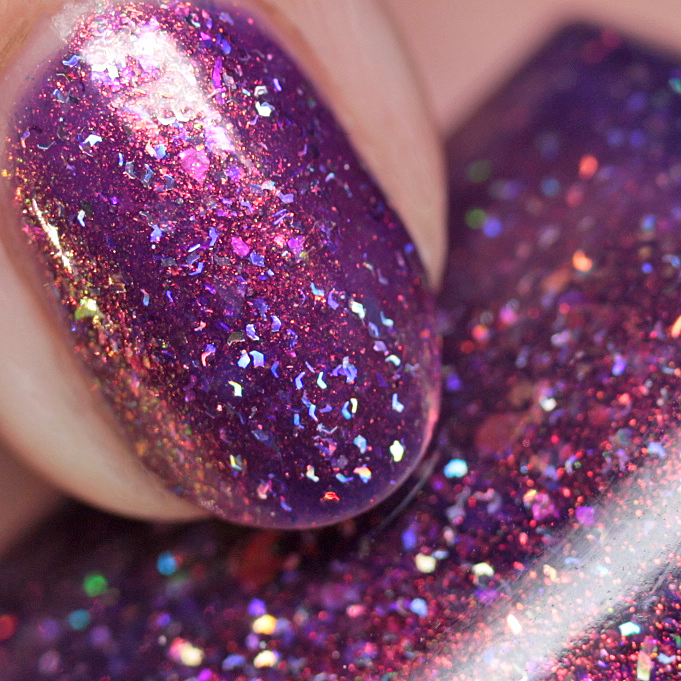 These launch tonight at 9PM EST. Let's go! 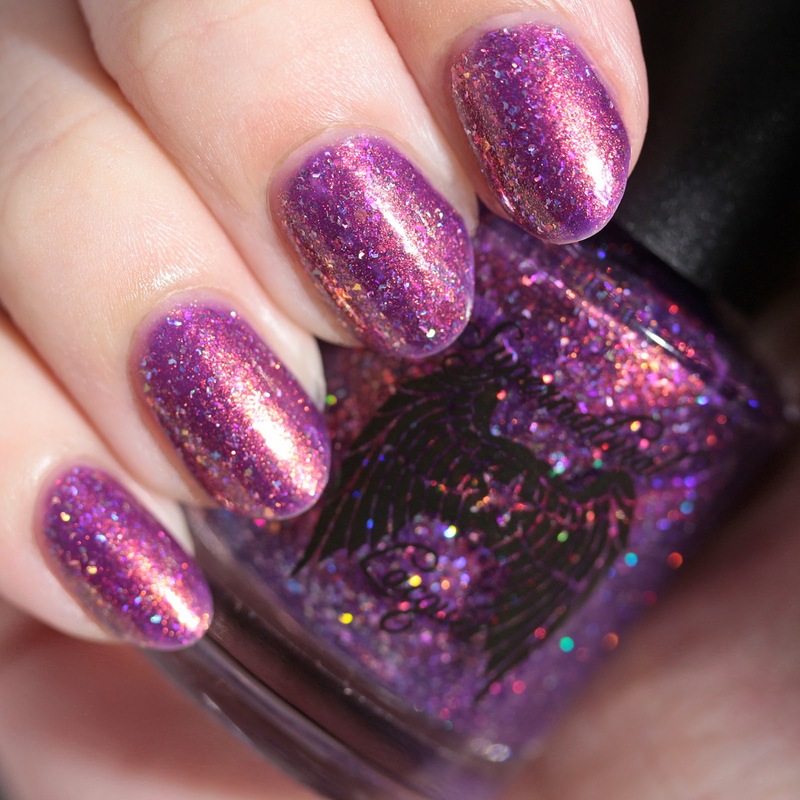 Supernatural Lacquer Birthday Ghoul is a royal purple jelly with red-to-green multichrome shimmer, holo shred glitter, and multichrome iridescent flakes. I wore it in four thin coats and it had a good formula. 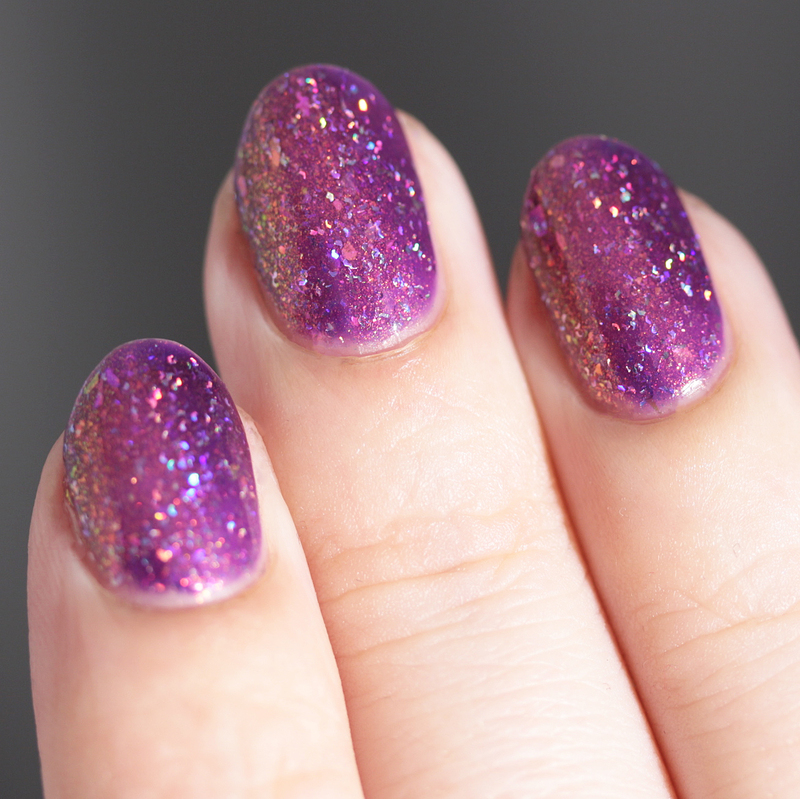 The glitters lie pretty flat so it is not hard to get it smooth with one layer of top coat. 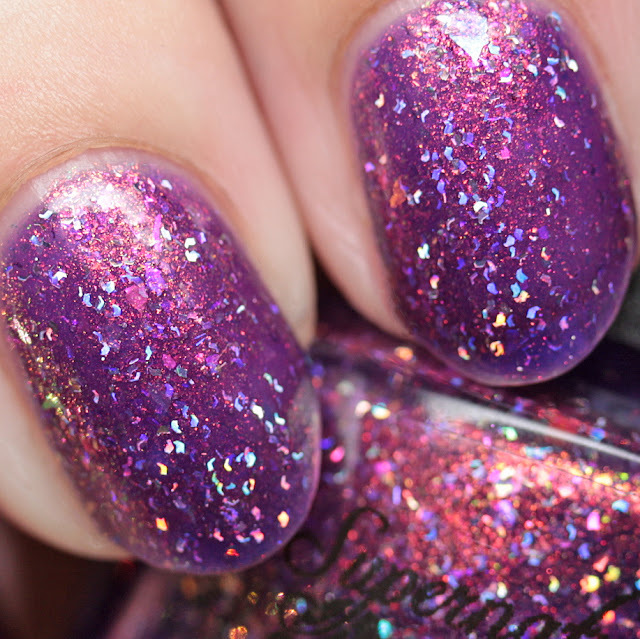 This is Stefanie's birthday polish. Happy birthday, Miss Magic Maker! 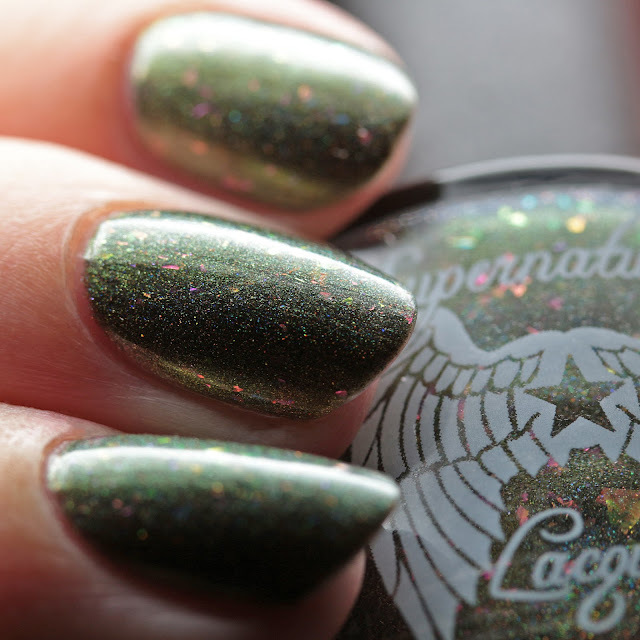 Supernatural Lacquer Death & Taxes is an olive green with duochrome gold-to-blue shimmer, linear holo shimmer, and magenta-to-green multichrome flakes. 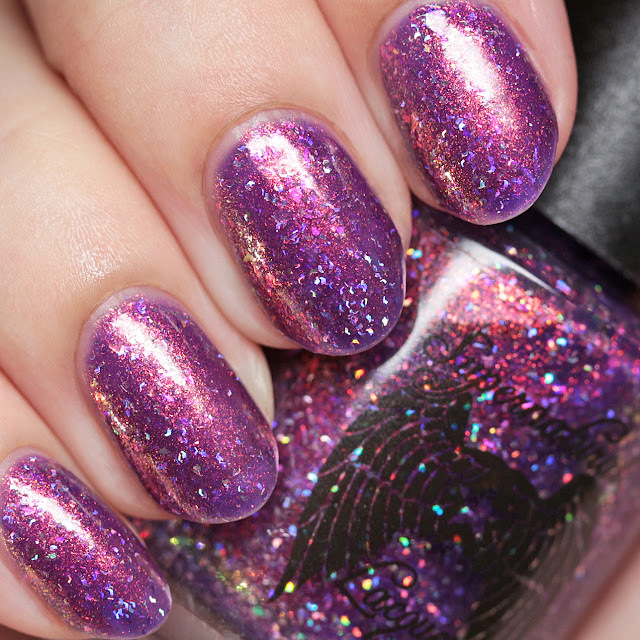 It covered in two thin coats and has a great formula. 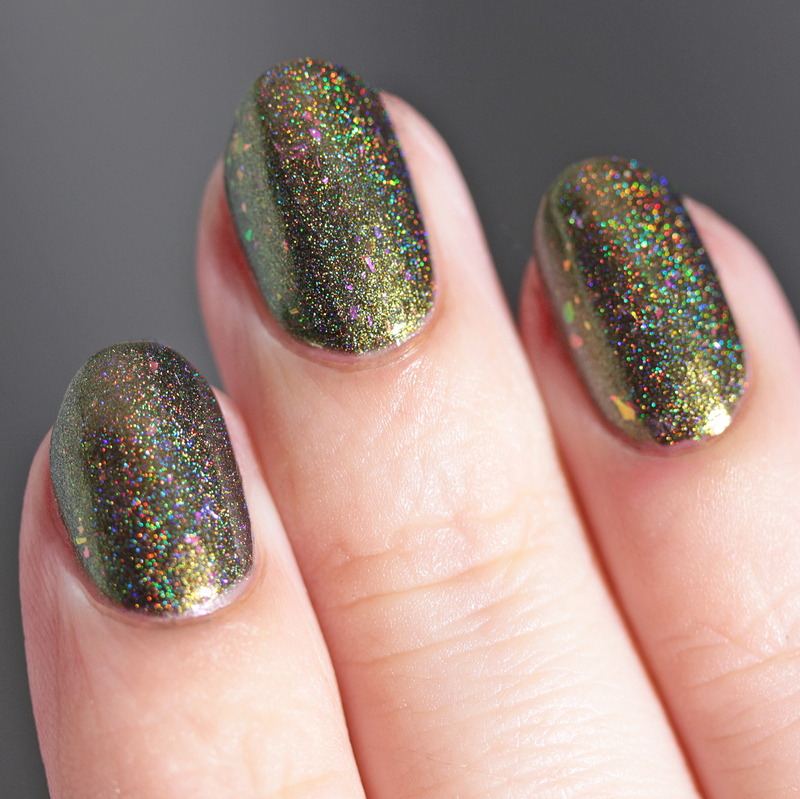 This one has mega holo flame to it! 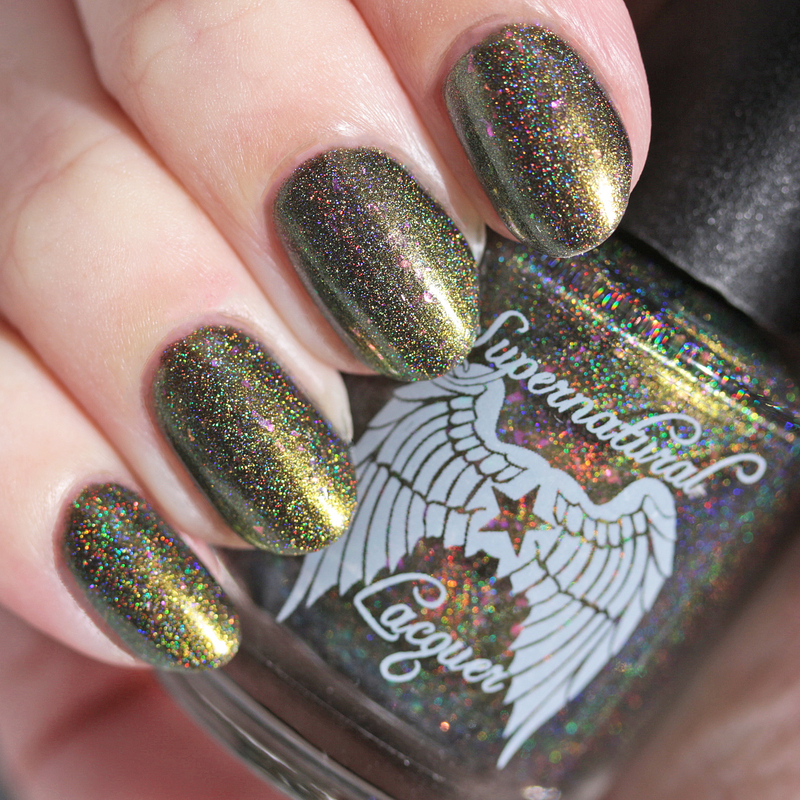 This is the very appropriately named April Limited Edition! 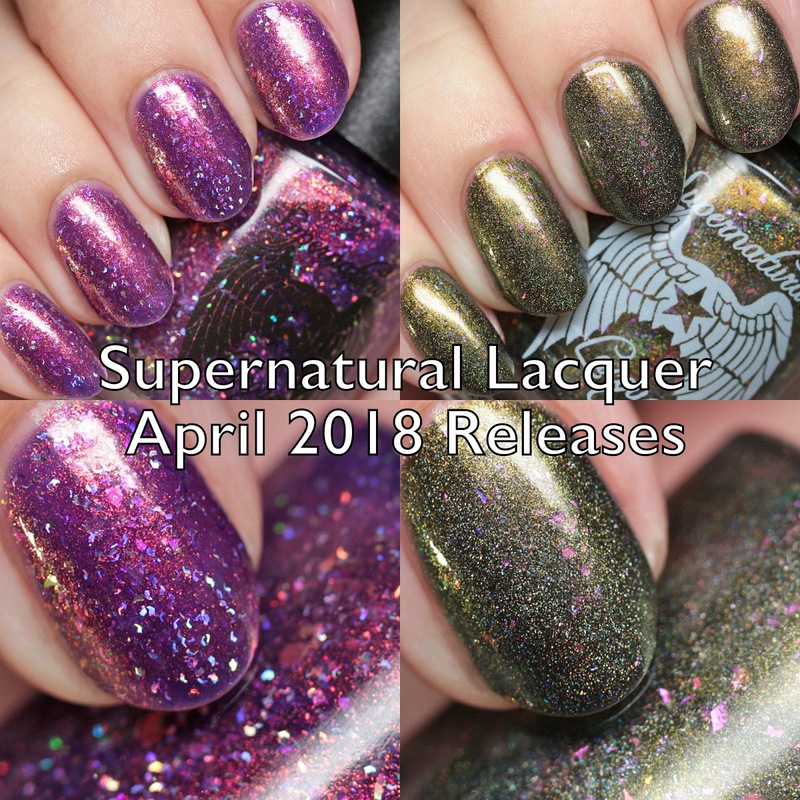 Both of these launch tonight, along with a restock of many colors and the release of a group custom for Facebook group Holy Shift Thermal Polish Lovers. I will definitely be picking up a few more things! Do you have one you love?